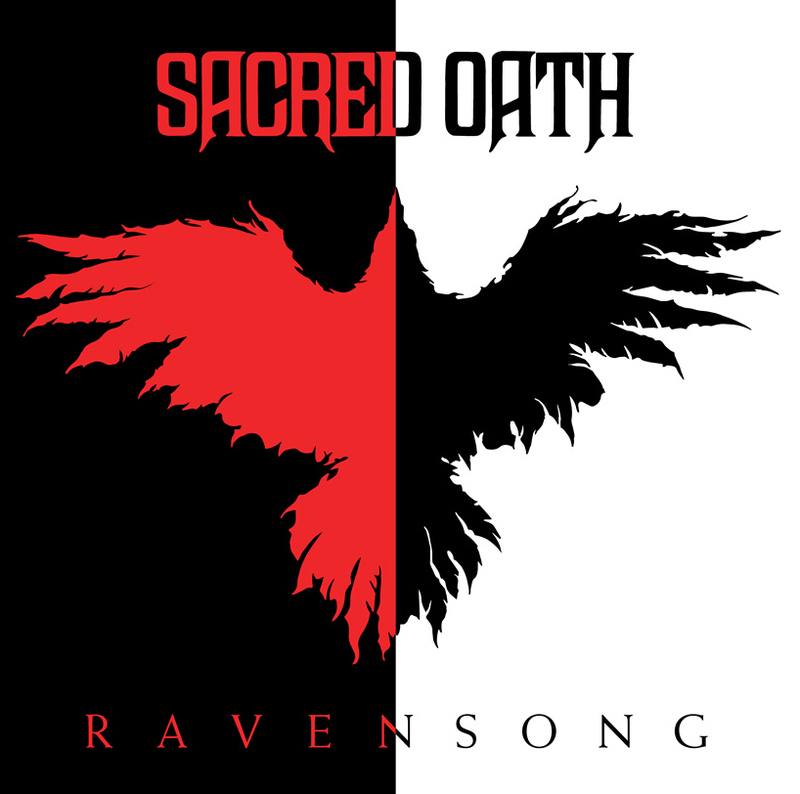 Sacred Oath will release their 7th studio album “Ravensong” in Europe on December 11, 2015 on the Angel Thorne Music label. This is the band’s first worldwide release under their new distribution deal with ILS/Caroline/Universal. “Ravensong” is a return to the same line-up that recorded “World On Fire” in 2010: Bill Smith (guitar), Brendan Kelleher (bass), Kenny Evans (drums), and Rob Thorne (vocals, guitar). The band’s last album “Fallen” (2013) featured the original members from their 1988 debut “A Crystal Vision” as part of a 25th anniversary celebration. “Ravensong” will be available worldwide via Caroline/Universal as a digipack CD with 12 page booklet insert, mp3 download, and also “Mastered for iTunes” with PDF booklet download.